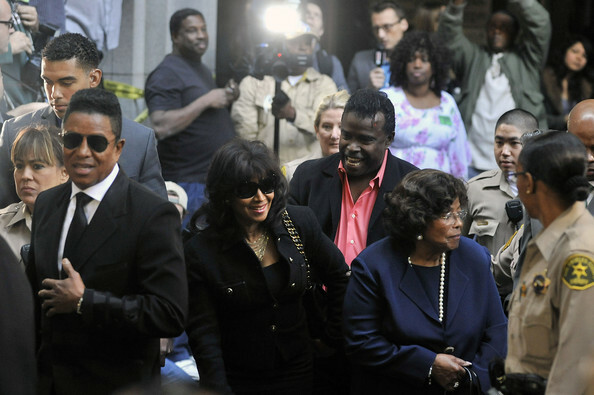 (L-R) Jermaine Jackson, Rebbie Jackson and Katherine Jackson leave court after the sentencing of Dr. Conrad Murray at the Los Angeles Superior Court on November 29, 2011 in Los Angeles, California. Judge Michael E. Pastor sentenced Murray to four years in the Los Angeles County Jail for the involuntary manslaughter of Jackson. A restitution hearing has been scheduled for January 23, 2012 to determine the amount of restitution to be paid to the Jackson family.